For over three decades, Justine’s Tissue Oil has been a trusted name among South Africans. This ultra-nourishing, luxurious collection caters to a variety of skincare needs and there are also regular launches of limited edition Tissue Oil products. Reason to believe: Rich in delicate oils and other extracts from nature, these nourishing formulations give skin an unmatched silky softness. To even out skin tone & fade dark spots in just 28 days. Formulated with a high concentration of oil-soluble vitamin C, a powerful antioxidant, the same trusted Tissue Oil ingredients and a unique sunscreen complex. Vitamin C is known to: enhance skin tone, improve skin firmness and help skin resist the signs of ageing. Leaves skin feeling soft, supple and moisturized. Directions for use: Can be used daily on face and body. In case of scars, massage into affected area two or three times daily using gentle circular movements. To helps prevent stretch marks, regularly massage product into vulnerable areas prone to stretch marks. For extremely dehydrated skin, apply directly after warm shower or bath to assist with absorption. Skin looks and feels silky soft and smooth. Directions for use: Pour a capful of Nourishing Bath Essence under running bath water. 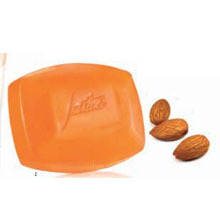 Directions for use: Use instead of normal soap in bath or shower. Leaves skin nourished, soothed and glowing. Directions for use: Apply generously all over body whenever needed. Directions for use: Thoroughly massage into affected areas both morning and evening. Directions for use: Apply generously all over body and massage in. Directions for use: Apply after shampooing and comb through hair. Leave on for three to five minutes then rinse thoroughly. Use regularly or once or twice a week as an intensive treatment. Helps minimise the appearance of scars and redness. Helps to improve the condition of very dry skin. Skin feels soft, supple and moisturized. Directions for use: Apply to face and neck every morning and evening after cleansing and toning. Wait for several minutes to allow product to absorb into skin. Dab away any excess product with a tissue. Protects against the harmful effects of the sun and with regular use can help prevent further skin damage. Skin is nourished and soothed. Skin is protected against the sun’s harmful rays. Directions for use: Apply every morning after cleansing and toning. 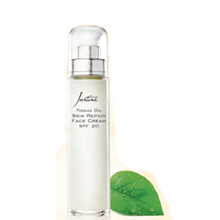 For any questions about Justine skincare products, contact us. Hi where can I find your product am in Durban. I have dark spot on my legs I really need something that can help me. View our list of consultants in Durban to see who is nearby, phone their number to make an appointment. is it for woman only? No, men can use it as well. Hi I am living in Ireland and I would like to purchase a bottle of tissue oil. 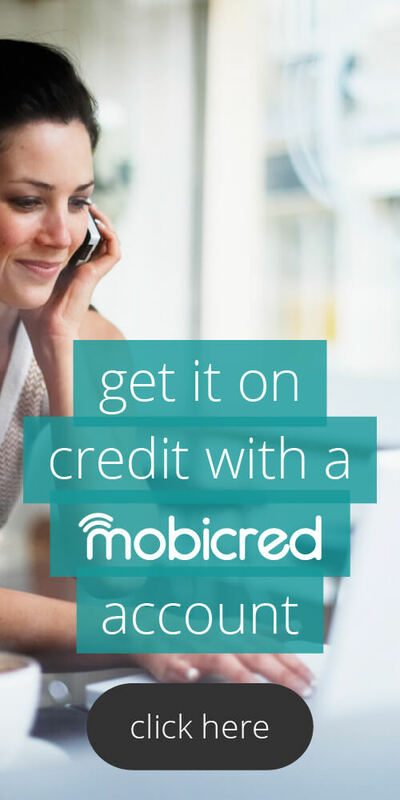 Is there any way I can do an online purchase? Yes you may purchase from our online shop, click on the “online shop” link in our menu. Your shipping will automatically be calculated. How long can you keep tissue oil for? Tissue Oil has a shelve life of 18 months. Sure, people who use the Tissue Oil GOLD have great results by improving the appearance of dark spots. Hello where can i get it around soweto or joburg town. 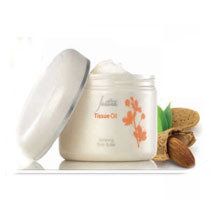 Do justine tissue oil products contain any animal derivatives at all? Hi. I have a wheat allergy, can I still use the tissue oil even though it contains wheatgerm oil? I would recommend that you consult with your GP. How should I incorporate the tissue oil with other of your skin care range, like lotions to get best results?please do me the list of products I should purchase and directions to use them. You should apply gel before an oil product and an oil product before a cream. Your age, skin type (dry, oily, normal, combination), skin concerns (sensitive, pigmentation or sun damaged, breakouts, excessive oiliness). Can the new improved tissue oil be used on a child of 3years, on her face and selected body parts? I would recommend you use the Tissue Oil Baby Botanical’s Baby Oil for children under the age of 5. Here and there are a few shops but they are independent, like us. Yes sure, it will be safe for her to use it. My 30yr old daughter has ugly dark marks (lesions) on her breasts, arms, thighs and legs – will your tissue oil get rid of these ugly marks? 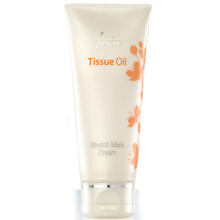 The Tissue Oil GOLD is clinically proven to reduce the appearance of scars. It regularly receive testimonials from people with all sorts of scars and marks and it’s ability to reduce the appearance of these. The Tissue Oil Gold also contains Vitamin C which does wonders for the skin so yes it would definitely help your daughter’s skin. Depending on the scars I cannot say that it will completely remove them, but it will definitely reduce the appearance of the marks. I am on holiday in Johanesburg and some fifteen years ago I had a surgery on the face done following a road accident. This has left bad scar marks on my face. Despite treatment there was no change. A doctor has recommended justin to me before I arrive here. Please help because I am leaving soon. 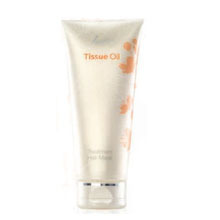 I would recommend the Tissue Oil Gold as it also contains Vitamin C which further reduces the appearance of scars. Justine is not available in shops but only from consultants or consultants’ personal shops which unfortunately will not be listed because they are not official shops of Justine. 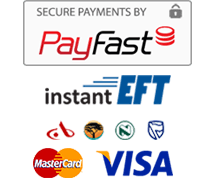 We do deliver nationwide at a door-to-door courier fee of R99, however we do also ship international if you do not stay in South Africa. From order to delivery takes about a week because we need to order it from head office before we can dispatch it to you. Thank you for the help Liza. I will place the order. Kindly advise whether the Tissue Oil Gold is to be used as a complement to another product or is it enough to repair those big scar marks. 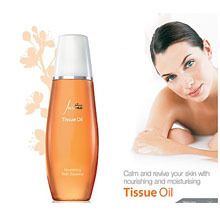 The Tissue Oil Gold should be used on it’s own for the treatment of scars. Depending on how deep the scars are I cannot tell you if they will completely be healed or not but the appearance should be noticeably improved. Apply the Tissue Oil Gold at least twice a day on the scars. It’s difficult to say how many bottles you should take to get the results you need as it differs from person to person. The bottles are 50ml so the lifetime of a bottle will depend on how large the scar area is. The Tissue Oil Gold is on special now so you can start with three bottles and if you stay in South Africa you can always order more later when your supply is getting lower. If you are overseas then maybe double your order as the shipping is quite expensive. I will do as instructed, that is double the order from 3 to 6. 1. I am 35, normal to oily skin, scars following operation from forehead to nose (vertical marks). Now that you have more details is there any Justin product I need apart from Justin Gold. That is because I wantto get rid of those dirty scar marks and unless you would correct me, I believe if I use a daily cream of Justine Brand as well as the Justin Gold, results would be best? 2. My girlfriend has stretch marks on the waist and under the arms. 3. She also has some pimples and dark spots on the face. And since she is in her early thirties, she would like to have something like an anti-ageing cream plus for dark circles (sunken eyes) and wrinkles. Any product she could use? She is thirty, normal to dry skin. Hallo Again Jean, thank you for the information. Before you start using the tissue oil gold on the scars just want to make sure its completely healed no open skin. Then its fine you can use the tissue oil gold on the scars, after cleansing before u would use a moisturiser. Just keep in mind to use an extra sun protection if you go out in the sun to give more protection. Then for the skin care products you can use our skin managment for men products specially for men with oily combination skin types and not too many product. 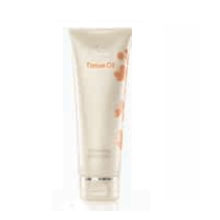 We have the foaming face wash for R99 150ml should last you more or less 2 – 2/half months cause u use very little wash morning and night time, then we have the soothing moisure balm 50ml for R109 use after cleansing, apply tissue oil gold to scar then moisturiser (oil absorbs quicker then cream or lotion) We also have a shave gel for R79 its a 150ml. I would suggest start with that if we see after its finished that you need extra or more intense product for excessive oiliness and this doesnt help you much or enough then i can recommend our oil control range. But lets first see with this, think you will be happy. The tissue oil gold is best for the scars as it has high levels of vitamin C in it together with the tissue oil properties. Use the oil at least or as much as possible 2-3 times daily not too much. Take a before photo and after 2-3 months again there should be a difference you’ll see. To be honest, depends on how long your girlfriends stretch marks has been there if its say still pinkish, our tissue oil gold/tissue oil together with the tissue oil stretch mark cream can make a difference with continuous use. If the stretch marks is white and been there for while I would rather recommend seeing a dermatologist for laser treatment. Then no cream will take it away but only lighten it. She can start by using our balancing range that will balance out the skin by eliminating oiliness and not balancing the dryness of her skin. She can use a spot treatment and make sure there is no fringe hanging on her face that can also make it worse. Below is the link to take you directly to the products or u can use the search bar. With her we need to treat one problem at a time, oilyness or dark marks we have a fantastic skin care range for pigmentation (dark marks) called luminessence range that would help for oiliness as well but more for the dark marks. She can use the oil control spot control on the pimples or tea tree oil as well (just doesnt have a good smell) Drink lots of water 🙂 Start with one for 3 months then we can take the next challenge. (a must sunscreen products when she is using any skincare products as well cause if u treat the dark marks but too much sun without protection products doesnt work) She can also use the t.o gold on the dark marks as well before day or night cream. I hope this helps and give little bit more clarity, for best results with skincare products is continous use and cleansing morning and night followed by toner and day or night cream. Hi im based in the uk and would like to buy your products. Where can i get them from…? We do ship to the UK, you may use our online shop and at the checkout enter your country to see the shipping price. 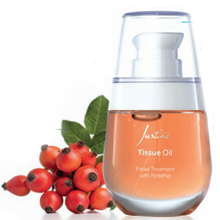 The best way to reduce the appearance of scars is Justine Tissue Oil Gold. However since the scar on your face is very old there is no guarantee that this will actually work. I would like to know if the gold tissue oil is suitable for use in pregnancy and if so, would this be your recommendation to prevent stretch marks? I also have scars that I would like to treat with the oil. According to Justine the Tissue Oil Gold is indeed safe to use during pregnancy. 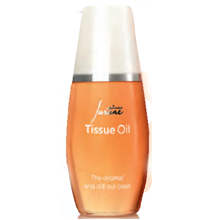 Justine’s Tissue Oil Gold definitely helps to reduce the appearance of stretch marks and scars and is used by many ladies for these purposes.